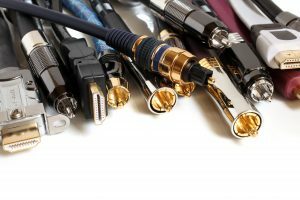 Are you looking to inject your music with more feeling and passion? Have you been using an overdrive pedal that is just missing that little something special? 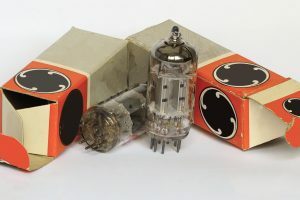 Do you want to be able to produce a more edgy sound and push your distortion amps to the next level? Well, guess what? There’s great news for you. There’s a pedal out there just for you. 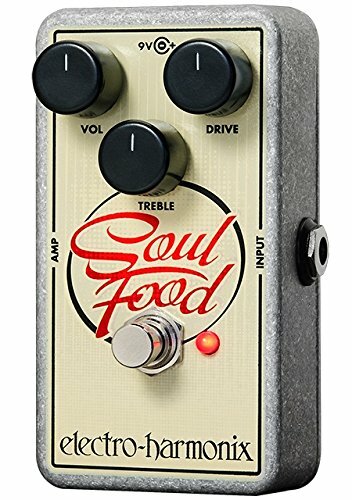 The fantastic Electro-Harmonix Soul Food Distortion/Fuzz/Overdrive Pedal will respond to your every touch and help you to infuse your music with extra vitality. You’ll be able to make more soulful sounds than ever. Let’s dive in a find out more about some of this amazing pedal’s cool features. This lets you make the most of the natural tones you create on your guitar and emphasizes your amp. It doesn’t cloak the sound in another layer of noise to color the tone, it simply accentuates it. 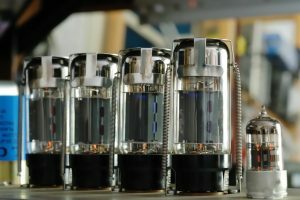 It will lift the sound of your guitar with more drive, adding much less gain than you would get from normal distortion. It’s perfect if you prefer a less dirty tone but still want the overdrive effect. 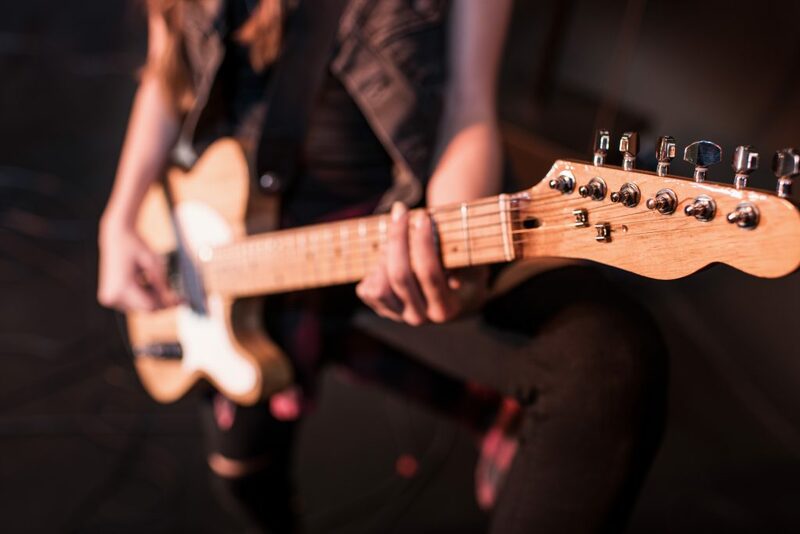 So, play some great clean-sounding, soulful riffs using this fabulous feature. This is the Electro Soul Food Distortion Pedal’s secret weapon. Boosted power rails give you amp headroom and first-rate note definition. You can get the most out of the wide-ranging drive control – all the way from clean-boost to full-on distortion. Use this to really make some musical magic. This allows you to choose the way you roll. Whether you want to capture all the sounds you create on your instrument, or just a special few, with this feature you will have maximum control over the sounds you make. That’s just as it should be, right? Go ahead and choose the way you’re going to rock the world. 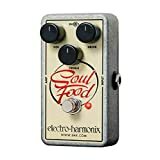 If this were not enough to get us musicians excited, the Electro Harmonix Soul Food Pedal also has a great rugged look to it, ideal for the sort of music you are trying to make. What’s more, this pedal has awesome treble controls which let you tame single coils, and decide how much bite you want a sound to have. It’s also super responsive! Too good to be true? Let’s see what others think. 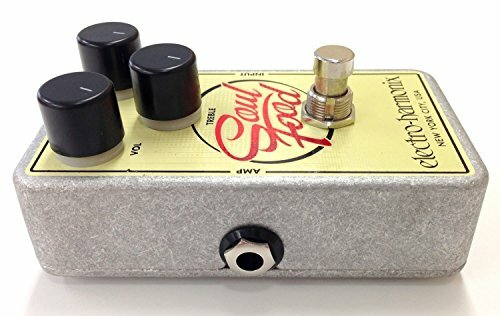 The Electro Harmonix Soul Food Pedal has proved a smash hit with Amazon reviewers. 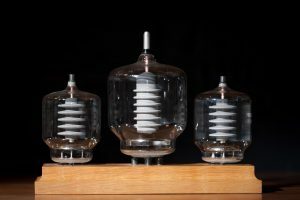 People have been particularly enthusiastic about the Transparent Overdrive with one energized reviewer calling it the “best clean boost” they had ever used Another claimed the ‘great clean buffer’ had definitely “sweetened” his tone. In total there are 190 reviews, with an average rating of 4.5 stars out of 5. Pretty good, right? One reviewer, who left a 3-star review, wrote that he didn’t like that it cut out “so much low end” from the tone. However, if you prefer to emphasize and color the high tone and want to add some trebly, clean, natural life to your music, this sounds like the perfect pedal for you. We’ve highlighted three main features of this amazing product, including the transparent overdrive, true bypass or buffered switching and the awesome potential and versatility of boosted rails combined with the great range of this pedal. We’ve seen for ourselves the rave customer reviews. So what are you waiting for? Buy now at Amazon.com and get this pedal on your board. Use it to inject all your passion and soul into your music today and you’ll be sure to sound better than ever.